Indeed, a degenerative meniscus tear cannot be normal? Right? Hang on a moment. We will get to that. Many people with meniscus tears sit apprehensively in my office expecting to leave my office with a surgery date on their calendar. 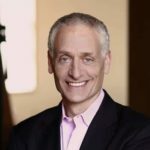 Instead, the majority of those patients will go home without the need for surgery, and without the need to dramatically alter their lifestyle. Why is that? Don’t we need surgery for a “tear”? When the meniscus is healthy, it serves an essential function. When the meniscus is healthy, and not degenerative or worn out, it assists in a crucial role as a shock absorber. But the two menisci in our knee change and lose some of their function as we mature. It’s natural to think that a tear must imply that surgery is necessary. Give me a few minutes of your time to explain why an operation might not be your first choice to address your knee pain. Many of you reading this are older than 45 and do not recall a significant injury which led to your meniscus tear. Kneeling to pick something up or crouching to get something out from the freezer doesn’t count as an injury. Most of you had knee pain, saw your primary care doctor, or a specialist and were told that an MRI was necessary. You are shocked that your MRI shows a tear, and naturally, you expect to need surgery to fix this issue. Read: Why an MRI isn’t always necessary. Most meniscus tears in middle age an beyond are “complex degenerative tears.” Think of your favorite pair of denim jeans. You didn’t tear your meniscus, just like you didn’t rip the front of the knee of your jeans. The tissue has started to fray, but the overall shape is maintained. That means no loose pieces are floating around and nothing is getting caught. Most of these tears arise in the posterior horn of the medial meniscus. 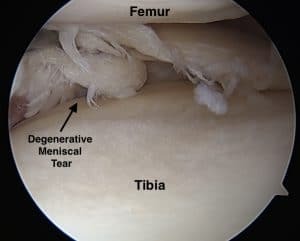 That is the most common site for a degenerative or complex meniscus tear. There are different types of meniscus tears. 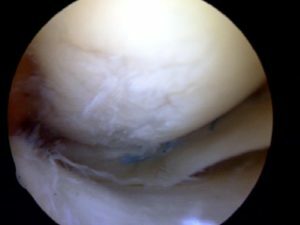 Young active athletes often sustain various types of meniscus tears, and those tears are often treated differently. Tears in young athletes are usually repairable. That means that we can suture them back together to maintain their normal supportive function. Degenerative tears are not repairable, and when a surgeon tells you they are going to “fix” your damage, they plan on removing the torn pieces. This article focuses on middle age patients, whether you’re a weekend warrior, runner, triathlete, or you are not very active. WHAT IS A DEGENERATIVE MENISCUS TEAR? There are two typical degenerative tear patterns that we see in middle age patients. We see horizontal cleavage tears and complex, degenerative tears. This article focuses on these two types of “age appropriate” tears that arise in our knees as we age. So, it is not necessarily normal that we have these tears. But the presence of these types of tears should not cause significant anxiety and the immediate thought that surgery is necessary. We accept grey hair, thinning hair, wrinkles, reading glasses and sagging in various places as a normal consequence of aging. But, we expect our joints to be free of damage, or changes that are fairly common across the board. Face it, after the age of 40 most of us will NOT have an MRI of the knee that says “Normal.” An MRI is a powerful technology and will show many changes within our knee as we mature. Commonly seen changes include arthritic changes, chondromalacia (softening of the cartilage), meniscus tears, bone marrow edema (inflammation within the bone itself) and fluid within the knee. WHAT DOES THE CURRENT SCIENCE SAY? The current research on this topic is evident. The majority of people with knee pain and degenerative meniscus tears have a great chance of responding to physical therapy alone. The majority of you will not require surgery. We remember in our youth that aches and pains subsided in days. Well, those days are long gone. Now it might take a few weeks for the pain from a meniscus tear to improve. So be sure to give it enough time before jumping onto to someone’s surgery schedule. If you have osteoarthritis as well as a meniscus tear, then your chances of responding favorably to surgery diminish even further. Arthritis implies that you have lost the cartilage that covers the end of the bone. Once that cartilage is gone it cannot be regenerated. “Scraping” arthritis is not successful as alleviating the pain of arthritis. There are many people out there who regret having surgery for a degenerative meniscus tear. The operation, by removing a portion of the meniscus can start a chain reaction that leads to worsening arthritis. That might accelerate your trip to an operating room for a knee replacement surgery. And the research into how to treat people with mild arthritis and meniscus tears also shows that many will respond to physical therapy and the start of a resistance exercise program. CAN I EXERCISE WITH A DEGENERATIVE MENISCUS TEAR? Many of you can’t imagine how moving or exercising a knee with a tear and arthritis can be beneficial. That is intuitive. When we talk about your fears, many of you reveal that you are in my office because you want to be sure that you can go on with an active lifestyle, despite your meniscus tear. You’re afraid you might make things worse. The science in this area and 20 years of experience in this area supports maintaining an active lifestyle. The majority of you will feel better and not require surgery for your meniscus tear or your arthritis. Yes, that brings up a very cogent point. You may still have some pain, despite physical therapy, weight loss, Tylenol and exercise. The proper question to ask yourself is whether or not the pain that you have now is tolerable or not. Is the pain severe enough to undertake the risks of surgery, and the possibility that your pain might worsen after surgery? You need to ask your surgeon if they expect your knee to be completely pain-free after surgery. Most of us will answer that honestly and will say it’s possible. You should ask if the operation could make the pain worse because the correct answer is yes. If you have arthritis, or thinning cartilage, then you may not be pain-free after surgery. It’s a toss-up. Many surgeons might inform you that meniscus surgery will prevent arthritis from occurring. This statement is not accurate. Removal of a piece of meniscus puts you at a higher risk of developing osteoarthritis. Will the tear become worse if I don’t have surgery? That is not likely, and certainly not a good reason to subject yourself to the risks of anesthesia, the risk of developing arthritis and the risk of feeling worse after surgery. If the pain that you are having is tolerable and does not interfere with your quality of life, then you may not want to consider an operation because you are afraid of something that may or may not happen in the future. IS MENISCUS SURGERY AN OPTION? Yes, some people might respond very well to meniscus surgery. While most of your knee pain might improve with time, PT, exercise, and over the counter medications, some of you will have severe persistent pain. 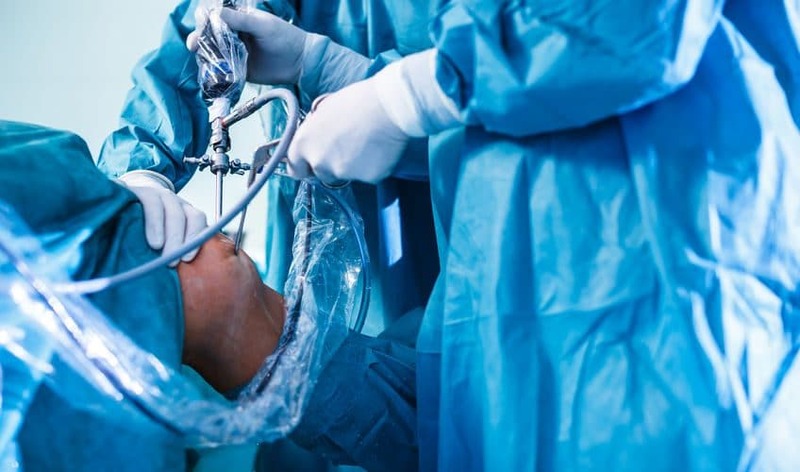 As long as you do not have any significant arthritic changes, then surgery might be an appropriate option for you to consider. Your recovery might be straightforward, or could be rocky. 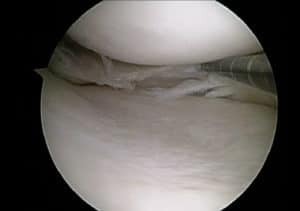 This post discusses the recovery from meniscus surgery. Why do meniscus tears hurt? Recovery from meniscus tear surgery. Can A Meniscus Tear Heal? ← When Can I Return To Work ? So, I had the surgery. The pain before surgery was unbearable and now it has lesson, however still not good. I’m 62 year old who loves to golf, study palates take barre classes and walks. What’s next to rid the pain. Supposed to start Pt on Friday, surgery was last Thursday 12/13. Any suggestions are greatly appreciated. Sorry to hear that Stacey. Sometimes it just takes time. Sometimes, depending on the amount of arthritis that was present, the pain may not improve. It’s very wise to be hesitant. I know many runners who have returned to the road or trails without the need for surgery. There’s no evidence to support the idea that you will prevent damage by having the piece removed.